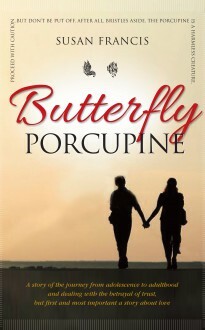 Butterfly Porcupine is a story told in turn by two teenagers going through the transition from adolescence to adulthood. It is about friendship, betrayal of trust and dealing with the consequences. Most of all, it is about first love.